Moving to Spain? These pages contain answers to some of the most commonly asked questions and a few you may not have thought of. 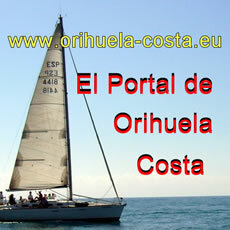 Hello, and welcome to the Orihuela Costa site for those contemplating a permanent move to Spain. Here, we hope you will be able to find information on some of those niggling little issues, the answers to which always seem to prove elusive. Well, let's start with the most often asked questions and deal with those, before we draw to your attention other things which yet may not have occurred to you. Many people considering moving to Spain permanently, have on previous visits to the country found the electricity supplies somewhat lacking. Today, the situation is much improved, with continuity far better than it ever was. However, it still fails from time to time, although usually only for a minute or two at the most. Heavy rain, of which there is not much for most of the time, seems to play a part. Many of the power failures experienced in Spain are caused by foreign users and not the generating authorities. When you first arrive in Spain it will be necessary to contract with the appropriate utility for the delivery of electrical power. The price you will pay for your electricity is determined by two factors: the amount you use and the size of the supply you wish to be constantly available for your use. Unlike the United Kingdom and Republic of Ireland, where you can draw through the mains as much as the wiring will handle, in Spain you have to accurately predict what your maximum use is likely to be. A reasonably large villa would require a power supply of about 5.7 Kilowatts, an apartment, about 3.5 Kw. The larger the standing supply requested, the more you will pay for your electricity. Both in standing charges and units consumed. Before you think, as most of us did, of declaring a smaller wattage in order to take advantage of cheaper costs, it is necessary to understand that each supply is controlled by thermal cut-outs which simply switch the power off if it goes beyond the requested amount for a couple of minutes or so. This phenomena is often attributed to power failures by those who don't understand the system. Not so! The cost of electricity in Spain is quite expensive in relation to what you get for your money. A two or three bedroom villa could expect a bill of around 130 Euros for two months, providing it did not involve cooking or heating water by electricity. This is about £10.00 per week. For lighting and the odd, power heavy use, this is quite expensive.. In most parts of Spain, water is safe to drink. Pressures can vary but in the main, those who visited Spain 20 or so years ago and experienced the trickle of water which passed as a supply, will no doubt be impressed by the copious quantity of clean water which now flows at good pressure from Spanish taps. The cost of water is minimal in relation to the UK or ROI but heavy use for gardens and swimming pools can elevate the cost significantly. When you apply for a water supply there will be a contract fee to pay (there is a fee on virtually all contracts in Spain) but the overall cost of water is about one third of that you will have been used to paying at home. Some older buildings suffer from poor water pressure simply because too many properties are now connected to the main that serves them. Eventually they will be modernised but properties so affected are realistically best avoided. If you are thinking about buying a resale property, ask if you can run the taps, all of them. Look for pressure problems on the top floors of apartment blocks. However, in fairness, the majority of the water supply in most areas of Spain is wholesome and at good pressures. The cost is considerably less that you would expect to pay at home and all supplies are metered. If you intend to buy a resale property, check the water flow and pressure carefully. Ask the sellers to run several taps simultaneously. Water is important. If the supply seems poor you may wish to consider another property. Do you want to visit the website of the local water company?! 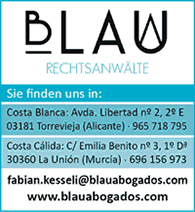 Here are listed the water company of Orihuela and Torrevieja.